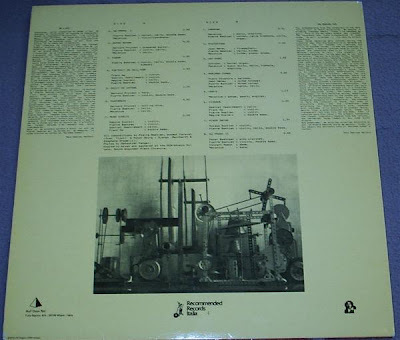 In 1986 he formed his own orchestra, Mecanium, comprised of Meccano machines which play various instruments, such as Chinese lute, Morrocan bendir, Javanese saron, koto, and violin. These machines were often driven by the rotation of old turntables. By the 1990s Mecanium consisted of up to 80 machine 'musicians', and toured various art and music festivals, including events in Norway, Australia, Japan, Canada, Poland, and the United States. Bastien has collaborated with artists such as Robert Wyatt, Jac Berrocal, Jaki Liebezeit, Pierrick Sorin, and Issey Miyake. He has released material on record labels such as Lowlands, Rephlex, Tigersushi, and Alga Marghen. He has also completed a doctorate on 18th century French literature, his thesis being on pre-surrealist Raymond Roussel. This is a lovely album. 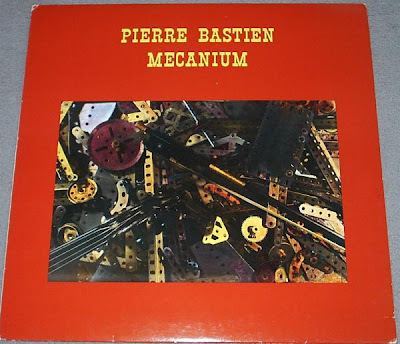 pierre bastien, also a member or pascal comelade's bel canto orquestra, is really a killer on this one! i get a chicken-skin, whenever i hear these odd sounds - wonderful, mr. mutant. I love this guy. This music is so otherworldly and beautiful. I really can't get enough of this kind of thing. It's great when the actual sounds rise above anything that might be considered novelty, and I think this music easily does that. I didn't have this one, so thanks a bunch! Haven't heard this yet, but have been enjoying an LP called - Roger Winfield - Windsongs The Sound of Aeolian Harps (1991). Rodger Winfield has built giant harps which pick up the sound of wind. The effect is quite ambient & lovely. Will gladly try this exotic bit you're sharing here. Thanks.